June 26, 2017 June 29, 2017 / Julie Brook, Esq. If you represent landlords who rent units to one person but allow someone else to occupy the unit—like a parent renting for a child or an employer renting for an employee—here’s some advice to pass on to your clients. Know the occupants. 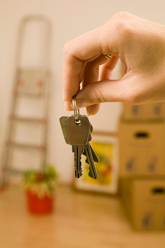 Property owners should always know the identity of everyone who regularly occupies their rental units. This knowledge is critical if there’s a dispute between or among occupants, or if there’s a natural disaster or criminal investigation. Landlords should start by getting information from the tenant about all potential occupants in the tenant’s rental application. Find out if corporate renters are even permitted. Renting to a corporation might violate local zoning or housing codes intended to prevent the hotelization of residential housing units. Identify the occupant as the tenant. Any occupant who lives in a rental unit with the landlord’s knowledge and permission is some type of tenant, so he or she should be identified as a tenant in the lease or rental agreement (or in an addendum). The best practice is to make the actual occupant the “tenant” and have a formal, written separate guarantee from whomever is going to be financially responsible for the rent. If an eviction becomes necessary, it should be relatively easy to serve the “tenant” in occupancy with notices and the summons and complaint, and the landlord won’t have to serve an out-of-state corporation or nonresident parents, which could be both expensive and delay the action. Trying to withhold tenancy status from the occupant, even if the occupant isn’t a rent payer, may create significant liabilities for the landlord. Here’s a cautionary tale: In Spinks v Equity Residential Briarwood Apartments (2009) 171 CA4th 1004, the rental agreement was between an out-of-state employer and the landlord, and the occupant was in possession of the premises due to her employment. When the employment terminated, the occupant was instructed by her employer to vacate. When she failed to do so, the tenant-employer instructed the landlord to change the locks and remove the furniture, which the landlord did. The court held that a triable issue of fact existed as to whether the occupant was a third party beneficiary under the rental agreement between the landlord and tenant, which, if found to exist, would expose the landlord to claims for damages for breach of that contract, for breach of the implied covenant of good faith and fair dealing, as well as compensatory and punitive damages sounding in tort for disturbing the occupant’s peaceable possession. For excellent guidance on advising landlords, including sample rental agreement provisions, turn to CEB’s California Landlord-Tenant Practice, chap 4. Check out these other CEBblog™ related to landlord-tenant law.